Do you need your medical supplies fast? Are you sick of paying way too much for them? Do you have an ileostomy, colostomy, urostomy, or do you require a special wound dressing? 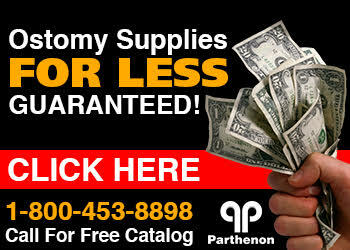 If so, Parthenon can help you get what you need fast and at the lowest price possible. While our stock changes all the time, we have a constant flow of ostomy supplies and other specialty medical supplies through our store. If we don't have it, we can get it within 1 to 2 business days! Brands we usually have available are ConvaTec, Hollister, Nu-Hope, Coloplast, and Smith & Nephew. We are family owned and operated and guarantee the highest quality personal service. You can have your item(s) shipped or you can pick up. Whatever your need, don't hesitate to check with us next time you are shopping for medical supplies in Salt Lake City or anywhere else in Utah!